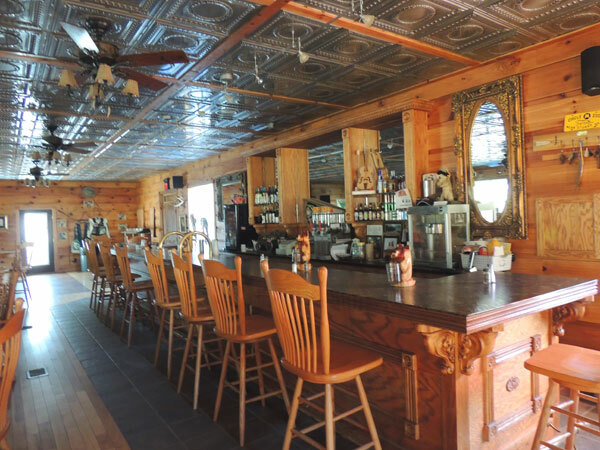 he Carriage House Saloon is our ole time Western Saloon that provides great food and drinks at a reasonable price. When you walk in the swinging doors, you will feel like you have entered a true Western Saloon from days gone by. It is a perfect replica of where the cowboys of yesteryear went to unwind, drink, play poker and dance. You can cozy up to our long wooden bar with your friends to enjoy a cold beer or a nice glass of wine, or you can seat at our wooden tables in the large open dining room. The saloon is complete with a stage for live bands and a large dance floor for those looking to dance with their sweethearts. We offer entertainment such as karaoke, DJ style music and an occasional “live” band for your enjoyment. The Saloon is open on weekends and during the week as needed.